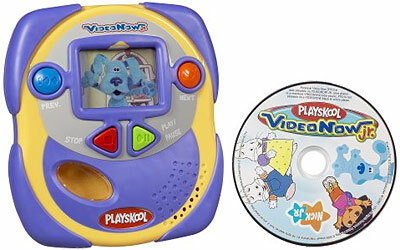 A portable full-color personal video player. Entertains and educates kids while on the go, anytime, anywhere. Video Now Jr. has big chunky buttons and is tough enough to withstand the bumps of daily preschool use. Junior, a friendly on-screen character, instructs kids on how to use their player.